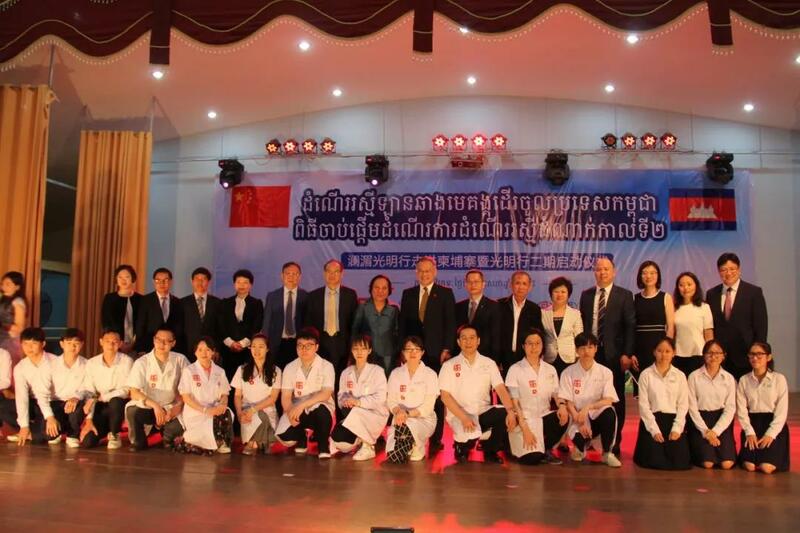 On May 8th, the second phase launch ceremony of “Lancang-Mekong Brightness Action” was held in Duan Hua (Toun Fa) Chinese School, Cambodia, which advocated by Chinese and Southeast Asian countries leaders, hosted by China Public Diplomacy Association, and supported by Overseas Chinese Charity Foundation of China, Hunan Eye Care Foundation and AIER Eye Hospital Group. As the first stop of the second phase of the “Mekong Brightness Action Project”, this project focuses on the visual health of primary and middle school students. AIER Eye Hospital Group undertaken this mission and sent a professional medical team, which expected to help a total of 3400 students from 4 primary and middle schools in Phnom Penh and Sihanoukville through eye health examination. Also the registration rate is about 20%. This project will strengthen the communication of ophthalmic medical technology between China and Cambodia, and integrated use of Chinese myopia prevention and control system to service local students for their visual health. 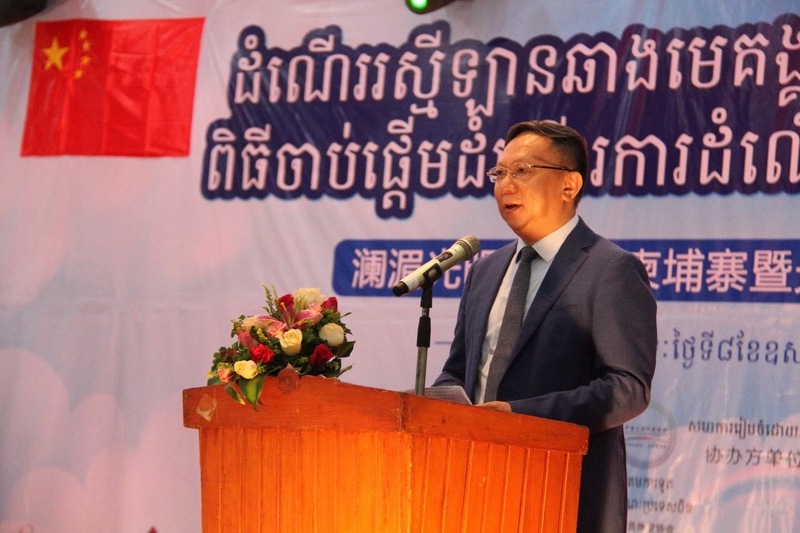 The Cambodian Ministry of Health Government Deputy Secretary, Shamao Weng said that eye health plays a significant role for everyone, and Cambodian Ministry of Health will place eye health in an important position of health strategic projects in all stages. This project not only provided health assistance to the Cambodian people, but also enhanced the profound friendship between the two countries. The Cambodian side highly appreciates this project, and regards it as a gift of the 60th Anniversary of the Establishment of China-Cambodia Diplomatic Relations. Mrs. Weng expressed her sincere gratitude to all the parties involved in this project. 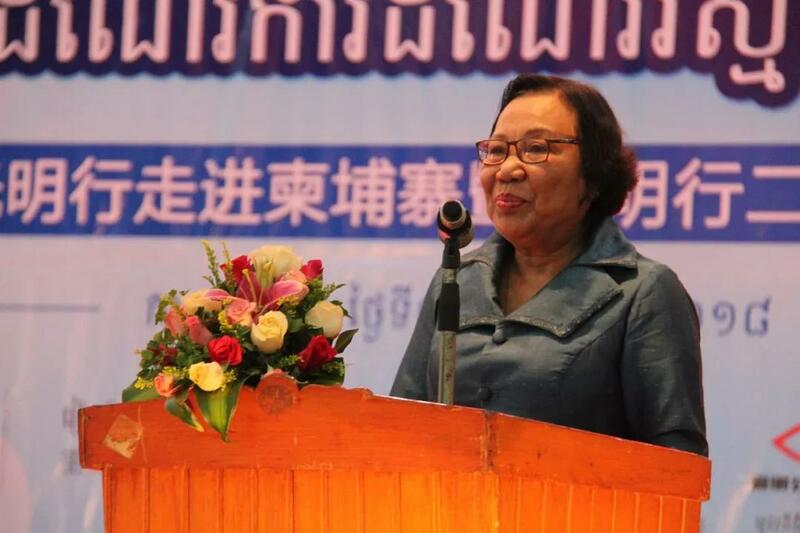 The Cambodian Ministry of Health Government Deputy Secretary, Shamao Weng,delivers her speech. Pro. Zhikuan Yang, the director of AIER Institute of Optometry and Visual Science,delivers his speech.